Inspira Group prides itself in not only helping you find the home that matches your lifestyle and needs, but the loan to go with it. We’ll help you explore a range of options to help you pick the loan that gives you the most flexibility and peace of mind. Whether you’re a first time home-buyer, in need of refinancing, or wondering about using the equity in your home, we’re here to help. Home loan programs are constantly changing and reshaping. That’s why Inspira Group has a team of professionals that study the financial market. We’ll be able to give you quick, accurate financial advice that fit well with today’s market. We consider it a primary responsibility to educate borrowers about the various loan types available to them. We want to find the best loan placement possible for you and your family, and we want you to be aware of all your options. 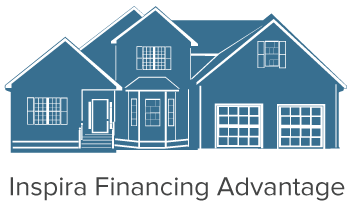 Our Inspira agents shop and compare programs at numerous lenders to give you every choice available. The next best thing to walking cash is an actual loan approval. At Inspira Group, we’ll help you secure approval, to give you maximum buying power. From finding a lower rate and debt consolidation to cashing out or pulling out equity to purchase, Inspira can help. We have a wide range of products available to meet your personal need. Pay for improvement, debt consolidation, auto expenses, or college using the equity in your home. Inspira Group will help you figure out how to tap into the equity of your home and use it to your advantage. We can help you borrow against the equity in your current home to purchase another home, a surefire way to put a smile on both your face and ours.